Before John F. Kennedy was president of the United States, he was an ambitious U.S. senator. And before he married Jacqueline Bouvier, Kennedy began a fleeting but passionate romance with a Swedish woman. The relationship continued after he was married. 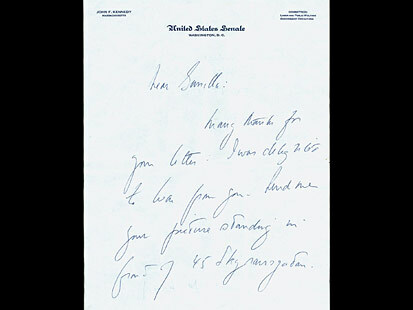 Kennedy's relationship with Gunilla von Post is documented in poignant letters and telegrams. Up until now, von Post kept the correspondence locked away, so it's never been public. 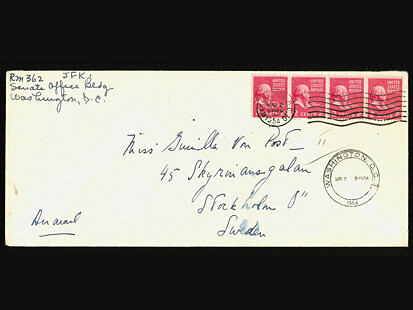 Today Von Post offers the love letters for auction. In the letters, Kennedy expresses, in his scrawling longhand, his feelings for von Post. The two met on the French Riviera in the summer of 1953. He was 36, and she was 21. They danced all night, and parted with a passionate kiss. 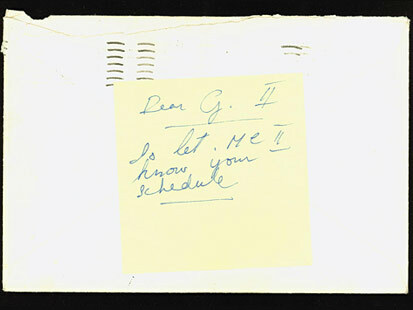 On June 28, 1954, during the summer after he was married, Kennedy wrote to von Post, saying: "I might get a boat and sail around the Mediterranean for two weeks -- with you as crew." But their plans for a secret rendezvous fell apart when Kennedy badly injured his back. 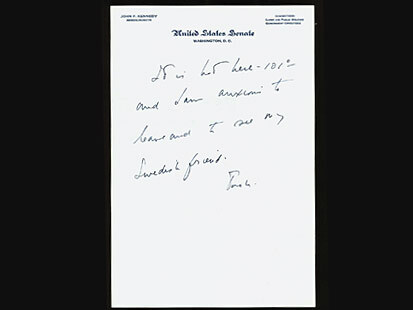 In November 1954, he wrote to her from the Hospital for Special Surgery in Manhattan. His letter seemed full of longing. "I am still in the hospital after two months. I was terribly disappointed that at the last moment I was not able to come to Europe, especially when you were going to be in Paris and we could have had such a good time…" He wrote that he was going to see her without fail if she wasn't "all settled down" by then. In the same letter, he writes at the end: "Is there any chance you will be coming to the U.S.?" Von Post, now 78 years old, first revealed the affair in a 1997 book. In an interview that year with ABC News' "20/20," she described how her heart went "boom-boom-boom-boom." "I was very happy to hear from him, but I said 'he's a married man,'" she told "20/20." It wasn't until the following year that the two got together, slipping away to an old castle in Sweden. "I borrowed him for a week, a beautiful week that no one can take away from me, from that," she told "20/20." John Reznikoff, president of University Archives, said the correspondence was "seeping with regret … these two people wanted to be together and it wasn't meant to be." "We've heard all the rumors, we know that JFK had many mistresses, but here we have proof. But not tawdry … a sensitive love affair that you can understand through the correspondence." Von Post has described the feelings between her and Kennedy as "electrical." But it wasn't to last. In his final letter to von Post in August 1955, Kennedy wrote as though he sensed their destinies were drifting apart. "I just got word today -- that my wife and sister are coming here. It will all be complicated the way I feel now -- my Swedish Flicka. 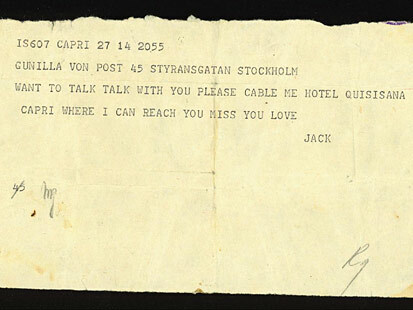 All I have done is sit in the sun and look and the Ocean and think of Gunilla … All Love, Jack." The letters are being auctioned to the public by LegendaryAuctions.com. Online bidding begins at $25,000. Doug Allen, president of Legendaryauctions.com, believes they'll fetch far more. "We'll let the market determine the real economic value of this," he said. "My guess is they'll go for $100,000."